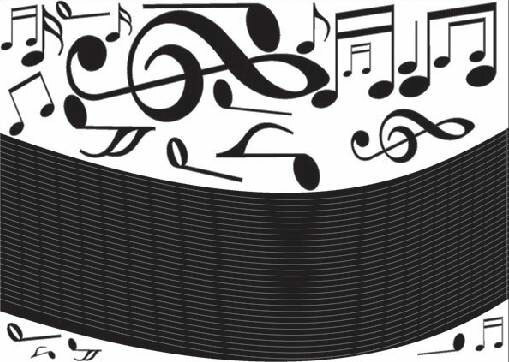 Giant die-cut black glossy paper symbols and stave lines with a peel and stick backing. 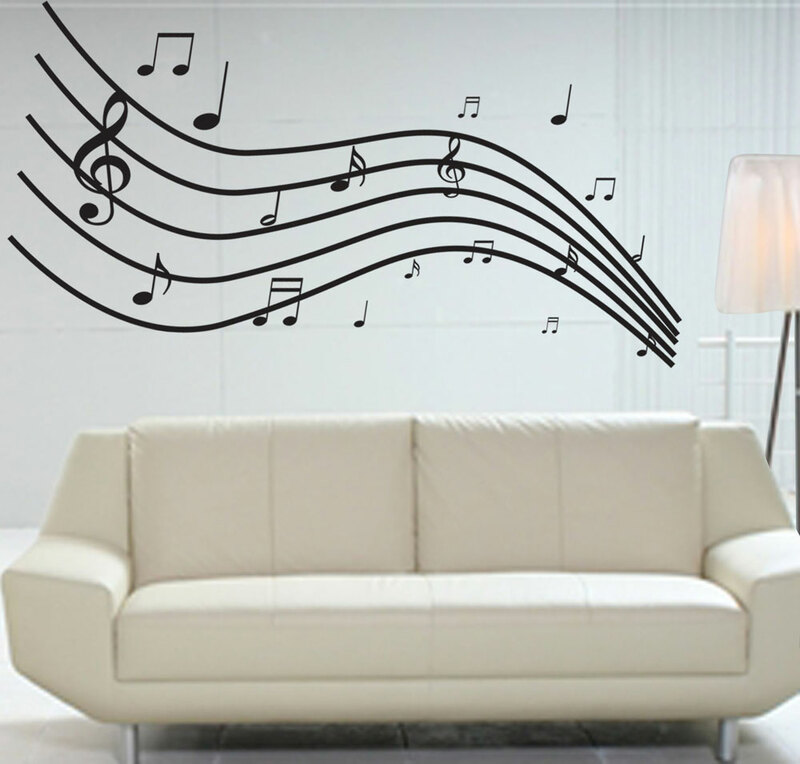 What a perfect way to decorate your room and make a dynamic musical statement. Symbol Kit includes 21 notes, two large G-clefs and 29 curved stave lines (27.5"L) that can be arranged in a creative layout on any smooth surface. Symbol size ranges from 16" to 1" H.
This kit will easily cover a 12 foot wall. The product requires a smooth wall surface or white board to apply. Non-textured painted wall board or sliding glass doors present such a surface. If the product doesn&#39t stick well in your application one solution would be to apply a very thin coat of removable wall paper paste to the back side of the product. You will have to press it on the surface and then wipe it with a wet sponge to remove the excess paste. Another option would be to apply with a pre-cut piece two-sided tape. The tape removal may be a problem for long term applications. Application of the first bottom stave line as a foundation is critical to the alignment of the overall graphic. It is helpful to use a thin pencil mark ( or other erasable line) to guide in the smooth application of the foundation (first) line. Once complete the other parallel lines and their placement can be identified and marked on the wall. Develop a plan before starting the project. The adhesive quality of the product erodes after a few attempts so target your product placement carefully.